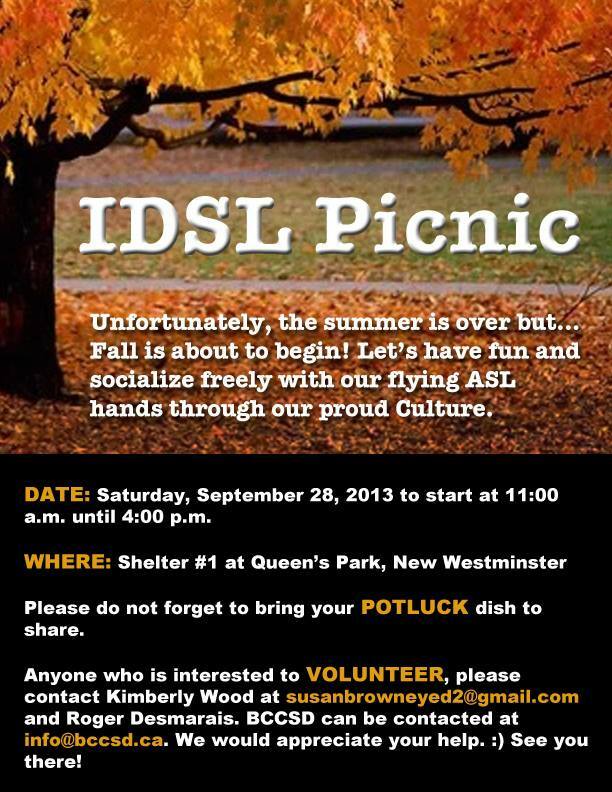 International Day of Sign Language Picnic 2013! POTLUCK!! Bring your favorite international food dishes. Also ASL Jokes & Stories! !